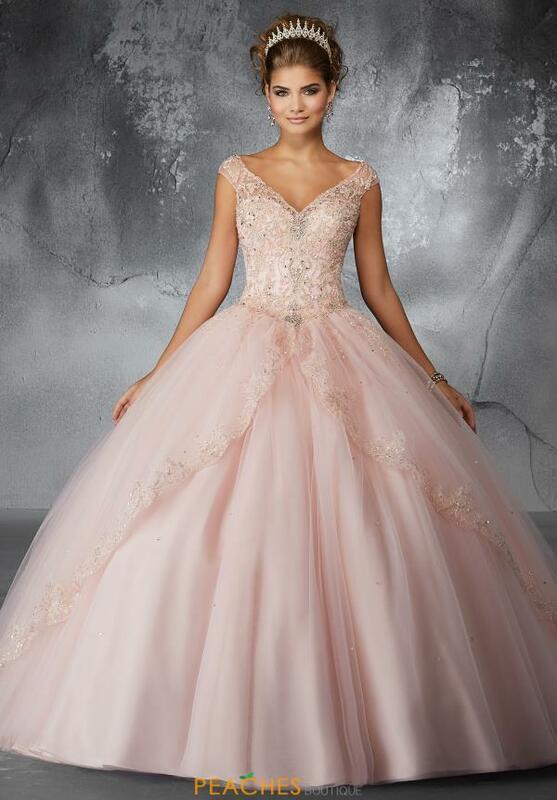 Look stunning in this Valencia ball gown 60054. This show stopping dress offers an off the shoulder neckline with a beaded bodice. This extravagant dress with a lace back leads into a full tulle skirt with a train to make you feel like a princess. This unique dress offers embroidery and beading throughout the skirt. Find more Vizcaya dress at Peaches Boutique in Chicago.